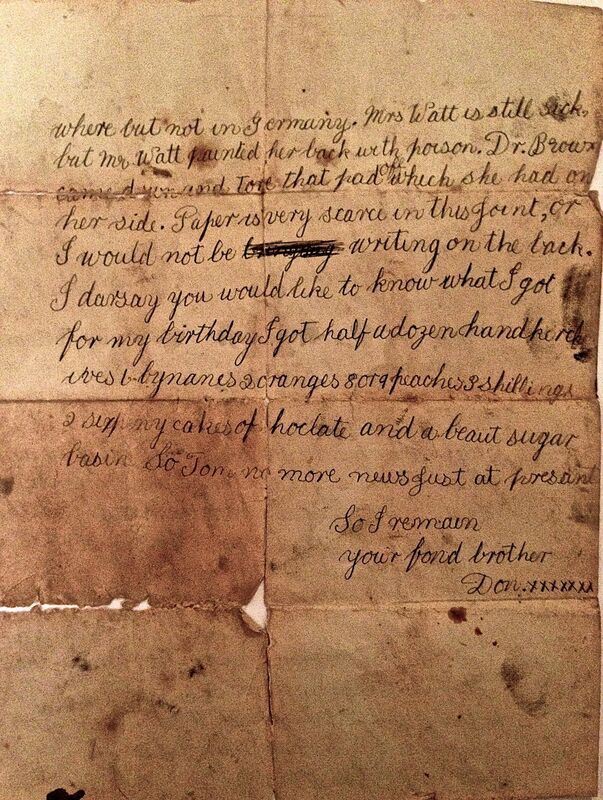 Letter from my grandfather Donald (Diva) Burt when he was 11 to his older brother Tom Burt in 1918. 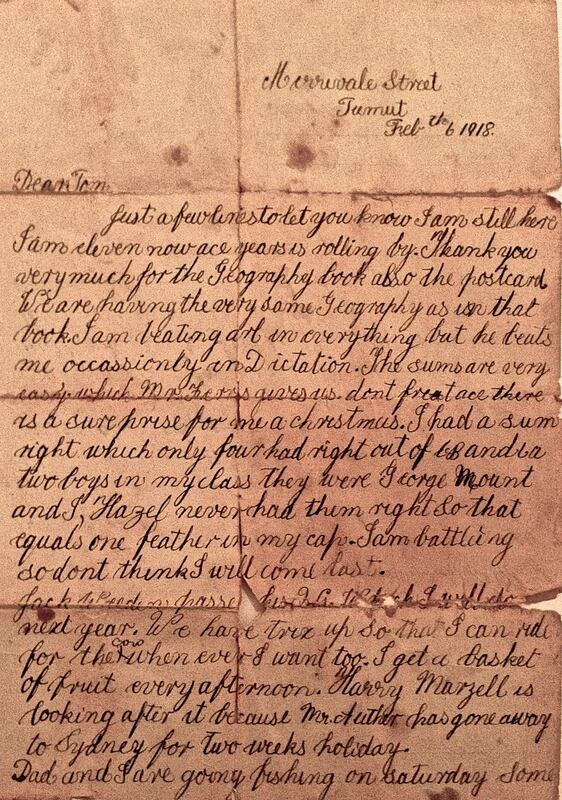 Mentioned in the letter are his sister Hazel Burt, his father Charles Burt, Mr Ferris (school teacher), George Mount, Harry Marzell, Mr Luther (? ), Mr Watt, Mrs Watt, and Dr Brown.